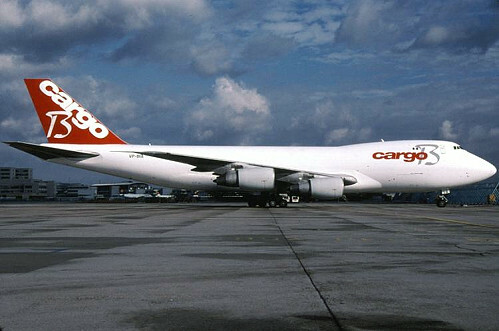 Description: on November 10 2007, the second B747 of Cargo B Airlines arrived at Brussels as "VP-BIA". 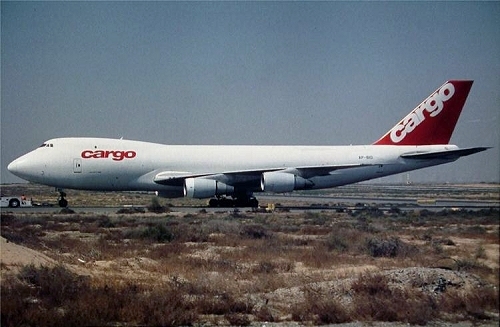 It remained stored for a couple of months, before being reregistered as "OO-CBB" by January 11 2008. It made a local test flight on January 17. Description: on January 25 2008, their first commercial flight was made, namely the transport of a spare engine for a stranded Arkefly B767 at Curacao, here depicted on its ferry flight from Brussels. 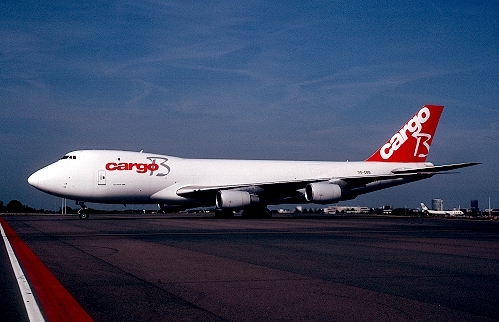 Description: the airframe was laid up at Brussels on December 27 2008, ferried to Liège for further storage on February 28 2009. 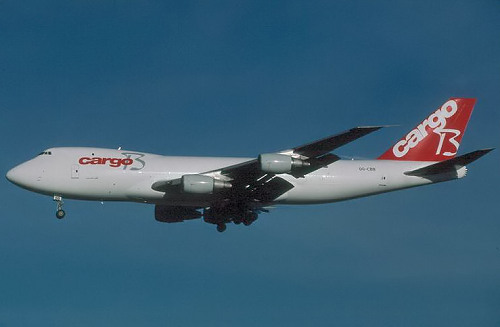 On July 1 2009, the carrier ceased operations and was liquidated five days later. On February 12 2010 it was cancelled to the States as "N545SG" and departed ten days later from Liège to Jakarta as "CBB101F". Description: couple months later, in July, a new operator was found in Pakistan under the name "Rayyan Air. It was registered "AP-BIO", but as can be seen, little was altered on the color scheme with just the erase of letter "B" .